This recipe can be jazzed up with chopped nuts, herbs, or cheese. You can also try grating in other vegetables like carrots, parsnips or cauliflower. Peel the beets with a vegetable peeler, and grate. Grate apples. 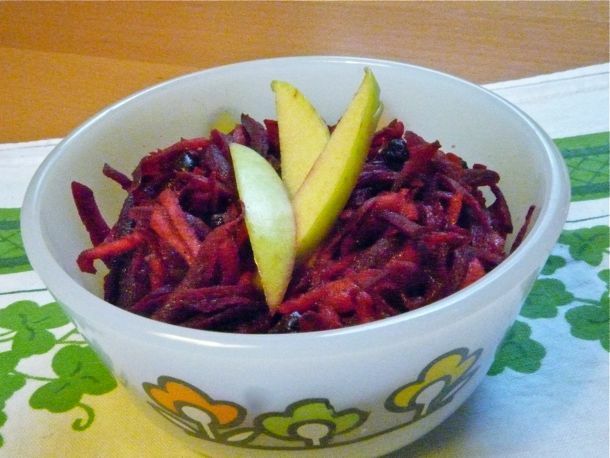 Combine apples and beets in a large bowl. Mix together the orange juice, lemon juice and olive oil. Toss with the beets and apples. Season to taste with salt and pepper.